Puerto Nuevo is only three blocks deep. The most popular restaurants in Puerto Nuevo are La Casa de Langosta, Puerto Nuevo I and II, La Escondida and Ortega's Manuel's. Sandra's also is a favorite with locals, and Ortega's Patio and the Lobster House rate a visit as well. 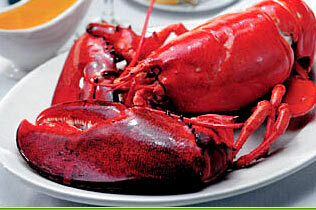 All are winners when it comes to a great lobster dinner and are all competitively priced. Puerto Nuevo is a clearly marked village on the Old Road, 10 minutes south of downtown Rosarito. Take the Rosarito-Ensenada toll road to the Puerto Nuevo turnoff at kilometer 49. Turn left onto the Old Road and continue south a short distance to the village, which will be on your right. It is exactly 10 miles from Rosarito's southern toll gate. Not all Puerto Nuevo restaurants take credit cards. Best to bring cash or ask before you order. Reservations: Most Puerto Nuevo restaurants do not take reservations directly, but the Rosarito Convention and Visitors Bureau (011-52-661-612-0396) is happy to make calls on your behalf. Hours: Most restaurants are open from 10 a.m. to 8 p.m. weekdays, winter and summer, and until 10 p.m on Friday and Saturday. A few restaurants stay open until 11:30 p.m. on summer weekends.